We have a wide range of tents that are custom-tailored to suit any event that you might be hosting. Whether you need a large internal space or a gazebo to hold a handful of people, you have definitely come to the right place. We have been in this field for a very long time and our reputable team is always dedicated towards bringing life to your traditional events, concerts, weddings, institution events or any other function that you may be having. 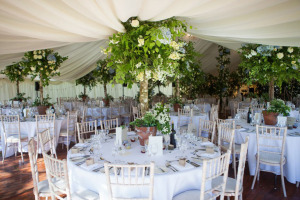 As the best provider of marquee tent hire Stellenbosch wide, we deliver nothing less than quality tents. If you are looking for marquees for hire in Stellenbosch, we have the tent for you! Whether you need one large spacious tent or multiple one we have a wide selection to choose from. Whether you want stretch and Bedouin tents or a gazebo for a product expo, we are sure to help. All our tents are waterproof and capable of withstanding harsh weather. Our tents for hire in Stellenbosch add value to your event and are assembled and delivered on time and at relative short notice. Simply call our experienced Cape Town team on 021 300 3641 for these and more services at affordable prices.